There are two types of Red Dwarf. The first, and more popular, is a rusty old mining ship belonging to the Jupiter Corporation. We know a great deal about this type of Red Dwarf, but they are exceptionally rare – there have never been more than three in existence at one time. 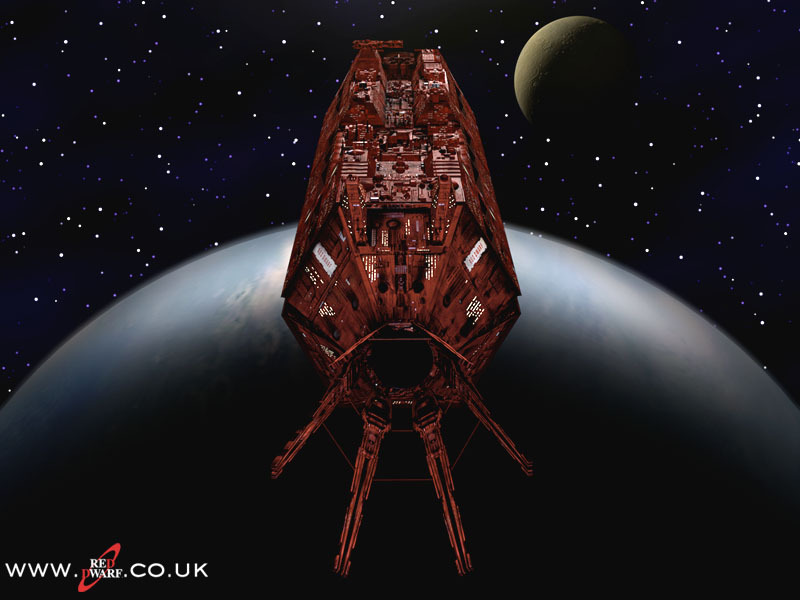 The Red Dwarf was immortalised in 52 episodes about the adventures of the crew members who survived a radiation leak by such varied means as being in time stasis, being resurrected as a hologram, being a computer and evolving into a new species. The other type of red dwarf, which is rather more common, is a star. Stars come in many different sizes and temperatures, from the ultra-violet emitting supergiants who burn themselves out in the space of under a million years, to medium-sized yellow stars like our own Sun, to the very smallest dim red dwarf stars. Red dwarfs burn at a low temperature and so are able to conserve their hydrogen fuel for a very long time – it is estimated that they should last over a hundred billion years before finally running out. It has also long been suspected that they might actually be the most common type of star, despite their relative dimness making them rather inconspicuous in the night sky. A new survey of eight different elliptical galaxies using the monster Keck telescope in Hawaii has imaged red dwarfs in another galaxy for the first time. According to astronomers from the Harvard-Smithsonian Centre for Astrophysics, the survey turned up a surprisingly high number of red dwarfs. Astronomers have believed for some time that there are about 400 billion stars in our Milky Way galaxy, and as many as a trillion in the largest galaxies. However since red dwarfs are hard to see, they were always under-represented in the counts. 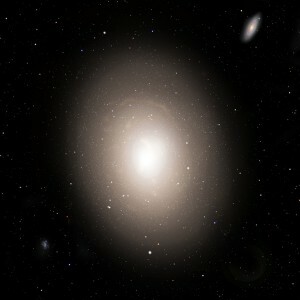 With this new data we see that there are up to three times more stars in the universe than we thought, and that large elliptical galaxies could have up to five or even ten times more stars. This means that red dwarfs make up a large majority in the stellar population, with bigger brighter stars like the Sun being relatively uncommon. There are two interesting implications here. First, this impacts work done on Dark Matter. For decades astronomers have known that the amount of gravity required to hold galaxies into their varied shapes can not be supplied by the amount of matter (mostly stars) that we can see, so there must be some form of dark matter making up the shortfall. But if we’ve underestimated the number of stars in galaxies (and according to this discovery, we have) then the discrepancy becomes a great deal smaller. We’ve found a whole lot more matter than we thought existed. Secondly, red dwarf stars are particularly promising places to find planets that could host life. They are cool and emit comparatively little radiation, making for a safer environment. We know they produce planets readily (as with Gliese 581 which made headlines recently because it is placed in its stars “Goldilocks Zone”, where temperatures are just right for water to exist as a liquid), and they are extremely long-lived. This gives their planets all the time they need to develop intelligent life. Of course, these are all just possibilities – the best we can say about life in space, until we actually find some, is “There’s no reason why not, we just haven’t found it yet”.